HAPPY HOUR runs Monday-Friday 4 PM - 6 PM. 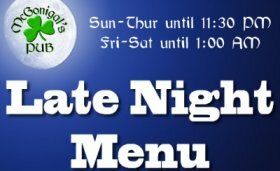 Late Night Menu starts 10 PM every night. 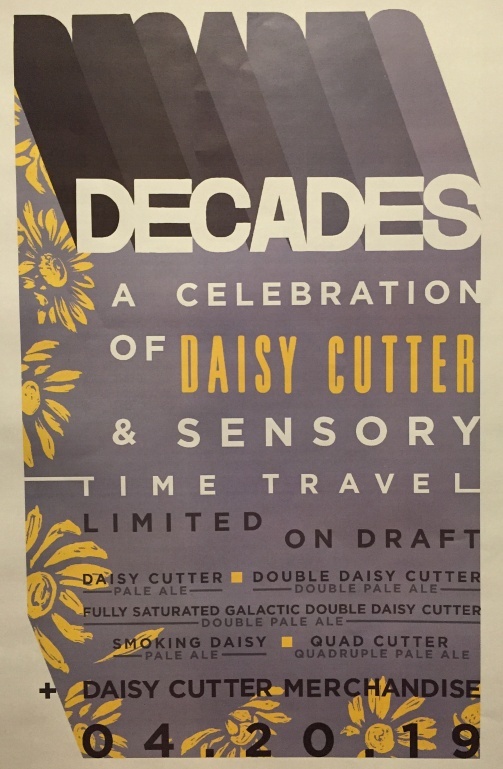 This coming Saturday (April 20th) we are hosting a special "Daisy Cutter" tap takeover from Half Acre Beer Company. The event starts at 6:00 PM. Click on the below image for additional details. GO BIG RED! This Saturday (1:00 PM) we'll be showing the spring game if you want to come out and watch the preview of our 2019 Huskers. Addiitonally our Chicago Cubss are at Wrigley all weekend, so our $2.50 Bud & Bud Light 16oz aluminum bottle home gameday specials are in effect. Our April Beer of the month is Half Acre Volo Wheat Beer, a new offering by this great Chicago brewery. $4.50 draft pints all month long! The season for our Chicago Cubs may have already started, but their first home game is Monday April 8th... and with that comes the return of our $2.50 Budweiser & Bud Light 16oz aluminum bottle special, offered all day for every Cubs home game! Our website is taking a spring break... the next update will be Saturday March 30th. However the Pub is of course open normal business hours: Sunday -Thursday 11 AM - 1 AM, Friday & Saturday 11 AM - 2 AM). Have a great week! March Madness starts this Thursday! The Pub will be showing the games in our main level on Thursday, and The Loft (our 2nd level with several more HDTVs) will be open at 11 AM on Friday for additional viewing, drinking and dining. We'll also be featuring our Pub thin crust pizza by the jumbo slice or $2 off a full sized pie! On behalf of the Pub and all our staff, THANK YOU to all those who came out and braved the crowds for our weekend long St. Patrick's Day celebration, the Barrington Celtic Fest. If anyone has pictures from the weekend to share, feel free to post them on the Celtic Fest Facebook page. Also, hopefully you were able to geat a sneak peek preview of our awesome new neighbor - Big Iron Horse BBQ - who will be fully open for business in a few weeks. During the St. Patrick's Day weekend celebration our website updates will be on temporary hiatus. After this post the next update will be on Monday March 18th. Thank you for your understanding and hope you can make it here for a fun weekend! We're five day away from our weekend St. Patrick's Day celebration, also known as the Barrington Celtic Fest! Ckeck out our Events page for all the latest details, and "like" the Facebook page for up-to-the minute festival updates. The 16th Annual Barrington Brew Fest is Saturday July 13th. Early details and links can be found on our Events page. Better a little late then never... our March Beer of the Month is Sam Adams New England IPA, just $4.50 draft pints all month long! This Saturday (3/2) the Pub is opening early for the Manchester United - Southampton match. Doors open at 8:50 AM, match starts at 9 AM. We will be serving a complimentary small breakfast buffet at halftime! In about two weeks it all starts.... check out our Barrington Celtic Fest page as it has been updated with new stuff, including Irish dancers schedules! This Sunday (2/24) we'll be opening early for the Manchester United - Liverpool match. Doors open at 7:50 AM, match starts at 8:05 AM. Plenty of drink specials plus we will be serving a complimentary small breakfast buffet at halftime! Updated information on our upcoming St. Patrick's Day celebration - also knows as the Barrington Celtic Fest - is available on our Events page. We have a fantastic new neighbor coming soon - Big Iron Horse BBQ has outgrown their current Barrington location and are taking up shop right next door to us at 205 Park Avenue! Current plans are to be open by mid-March. Please visit their website, Facebook page and/or our internal page for details. We have a nice "Valentine's Week" special going on for Magner's Irish Cider bottles, both regular and pear. $2.50 per bottle until further notice. Enjoy! Unfortunately we won't be opening early this Saturday for the 6:30 AM Manchester United - Fulham match. We apologize for the inconvenience, but please visit us on Tuesday February 12 for the UEFA Champions League match vs. Paris Saint-Germain. Welcome our February Beer of the Month, Noon Whistle's COZMO Pale Ale. This is a local brewery, out of Lombard IL. "Falconer Flight hops give off a Grapefruit nose. Light orange hue from the malt makes this a balanced and crushable beer for the entire day." 5% ABV. $4.50 drafts all month long! We're in the process of revamping our food menu and are pleased to announce that the Pub will be offering thin crust PIZZA - 12", 14" & 16" - for in-house dining and carry-out! We have it on our specials menu for this weekend, just in time for the Super Bowl! Moving forward pizza will be available after 4 PM on weekdays and all day on weekends. Stay tuned for updated menus! Please note that we are still without phone (or internet) service; Comcast has been out in our area since yesterday (1/30) so we are not the only ones affected. As of this writing they are still working on getting everything up & running. In the meantime, know that we are open regular business hours today but may not be able to take phone calls! Despite the record setting bitter cold temperatures forecast for tonight and all day tomorrow (Wednesday), we will be open for business. More information on the Pub's annual Celtic Fest/St. Patrick's Day celebration will be released soon. Planned dates are Friday March 15th - Sunday March 17th. Be sure to check our Events page in the near future for details. We will be opening early this Saturday January 19thfor the Manchester United - Brighton match. Doors open 8:50 AM, match starts at 9 AM, and there will be a complimentary small breakfast buffet served at halftime! Our January Beer of the Month is Firestone Walker 805... "A light, refreshing blonde ale created for the laid back California lifestyle. Subtle malt sweetness is balanced by a touch of hops creating a versatile beer with a clean finish." 4.7% ABV. $4.50 drafts all month long! Sorry but we will NOT be open for Saturday's 6:30 AM match between Manchester United and Reading 9it's not being broadcast). Join us next Sunday (January 13th) for the 10:30 AM match vs. Tottenham. Additionally due to the Chicago Bears-Eagles game on Sunday, the Ragged Rascals have been rescheduled for Sunday January 13th (4 PM - 7 PM). 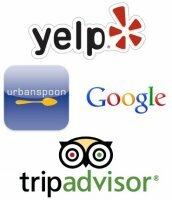 With a new year comes new opportunities... we are currnetly hiring Servers, Bussers and Food Runners. Visit our Employment page for details. We wanted to take a moment to wish everyone a very happy and safe New Years Eve (and a fantastic 2019). As we do every year our casual New Years Eve party is happening, please check out our Events page for all the details. Additionally, the Pub wil lbe open normal hours on New Years Day. On behalf of all the staff at the Pub, we'd like to wish you and yours a very Merry Christmas and safe holiday season. As a reminder we are open today at 5:00 PM for full bar service (no kitchen services but munchies will be provided). Wednesday December 26th is Boxing Day, and the Pub will be open at 9:00 AM for Manchester United-Huddersfield, Liverpool-Newcastle and whatever other matches are being broadcast! Complimentary small breakfast buffet will be served at halftime. Even though it's not quite Christmas yet, we wanted to mention that The Pub is having another "casual" New Years Eve Party this year, complete with live DJ, numerous food & drink specials, party favors, champagne toast at midnight... no expensive package deals and no reservations needed! Details are being finalized and will be posted on our Events page. Visit the News & Media section for older saved updates. 2017 Hospitality Member of the Year! 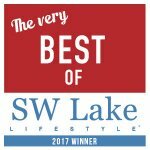 2017 Best Bar Category Winner! Served with buttered couscous and vegetable of the day. Three 3oz meatballs with Pomodoro sauce and mozzarella cheese, served on a Brioche bun. Pub thin crust pizza with black olives, red onions, pepperoncini, tzatziki sauce, romaine, parmesan & feta. A new every day special! 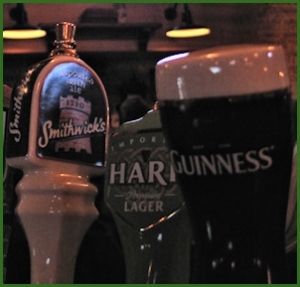 Combine one of our Irish draft beers with one of our signature Irish Entrees and get the combination for just $13! 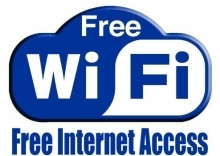 Visit our Everyday Specials page for details and restrictions. Tremendous discounts on many of our drinks along with some amazing food specials! Visit our Happy Hour page for all the details. We will open for all Manchester United games starting at 9 AM or later. Please check our Facebook page for updates on earlier start times. We carry Fox Sports 1 (formerly Fox Soccer), Fox Soccer Plus, NBC & CBS Sports Network channels and various other DirecTV feeds. Technology & price pending we hope to have GAA Games here someday too! Subscribe to our mailing list and you will start receiving Pub updates direct to your inbox. No junk mail, we promise!